Review: Imagine you are exiled from your homeland to a different world for ten years. To return home you must complete people's fates. You have one more to complete, but it is to kill the one you love. Would it be worth it? That is the question Corinthe, from Lanie Bross's book Fates, has to answer. Corinthe has been banished from her peaceful home of Pyralis Terra and sent to the unknown human world. She lives with her guardian and completes fates of humans given to her by the Unseen Ones. She has been there for ten years and starts to adapt. 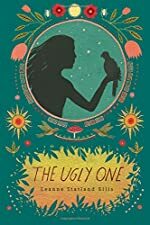 One night while she is completing a fate, she runs into Lucas, a boy about her age, and begins to feel strange feelings she had never felt before - human feelings. Eventually the time comes for Corinthe to return home. But first she must finish her last fate - to kill Lucas. Is killing the one she loves worth it? Will she complete the fate? You can find out if you read Fates. 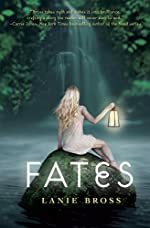 Fates has a fascinating story line and is overall a wonderful book, but for some readers, there are a few cautions you might want to be aware of before reading it. As I told you earlier, Corinthe is exiled to Earth and has to complete fates of humans. This can be getting people together, or breaking them up, but most of the fates have to do with making sure people die. She doesn't always kill them directly, but she does make sure they die. So in a way, the book focuses on death. This may not be a good book for sensitive readers or young children for this reason; not only does it talk a lot about death, but it also could be frightening. Older children or teenagers should read this book. It also mentions alcohol once or twice, which may not be appropriate for younger readers. But, older kids, teenagers, and adults will enjoy Fates for the interesting, complex storyline. We would like to thank Random House for providing a copy of Fates for this review. Have you read Fates? How would you rate it? Review: Have you ever felt as if your friends weren't acting like themselves? Was there another person inside them, controlling them? In our reality, no, but in Enders the sequel to Starters by Lissa Price that is a common occurrence. Many poor starters need money after the war, and without middles to provide it for them, the next best option is the chip implant a metal chip that allows Enders to access your body and take control while you take a little nap. Prime is gone, so Callie can't be accessed with her special chip, or so she thinks. Being an M.A.D (Multiple Access Donner) is no laughing matter. Now Callie must go on a journey to save her family and friends, and herself. Callie Woodland knows that she is special. Now with a M.A.D chip implanted in her brain, she has a direct line to the Old Man. To save her little brother's life, she must go to him, but a roadblock stands in her way. Now presenting himself as the Old Man's son, Hyden works to help Callie block out his evil father. But Callie doesn't want to be the only one protected, she persuades Hyden to help her rescue other starters, gaining their trust. Old friends are reunited, but one voice blocks them all out. A father's voice. 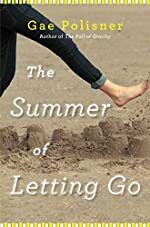 Callie's father has returned to her head, convincing Hyden; Michael, Hyden, and her set off to find him, but along the way Callie will meet people, trouble, and see things she has never wanted to see. 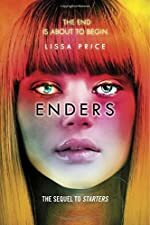 Enders is a great successor of Suzanne Collins's The Hunger Games, with riveting romance, breathtaking twists, and surprising secrets; Enders will have anyone on the edge of their seats. It would be intended for higher-level readers due to larger and complicated words. Will Callie reunite her family? Can she find out the old man's ticks or will she have to unlock untold histories to find out? Discover them along with her in Enders. Don't Even Think About It by Sarah Mlynowski. Review: Reading thoughts. Knowing people's crushes, acing tests, and knowing what others think of your clothes. Those are only a few gifts of telepathy in Don't Even Think About It, written by Sarah Mlynowski. 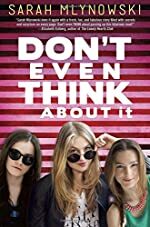 Don't Even Think About It is based on a whole homeroom class. Everyone in the homeroom class, 10b, is a part of this amazing book. The second book that continues Don't Even Think About It comes out in 2015, how exciting! The title of the second book is Think Twice, so make sure to look for it. What's she doing? Teddy wondered. Did Keith just say that out loud? Sadie wondered. No, Tess thought. Just come with me and I'll explain, okay? This conversation gets you thinking about what Tess will explain and why the girl, Sadie, is freaking out? This story also got right into the exciting stuff. Right away you don't want to put down the book. Don't Even Think About It is written in third person omniscient. This most definitely made the story more interesting. With the telepathy, the characters can hear other people thoughts, which makes the story funny as well. This story doesn't really teach a lesson other than people can lie, and to find out the truth isn't so easy. We would like to thank Random House for providing a copy of Don't Even Think About It for this review. Have you read Don't Even Think About It? How would you rate it? 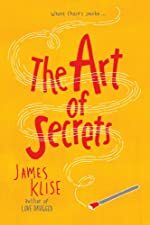 Review: James Klise's novel, The Art of Secrets, involves the main character, Saba Kahn, an ordinary sophomore in high school. James Klise summarizes his book with, "A fire destroysÉ A treasure appearsÉ A crime unfoldsÉ" Saba Kahn's life turns upside down when her apartment is burned to pieces in a mysterious hate crime. Suddenly, she's the most well known person ever. That's where the crime unfolds, although it is hidden. Everything changes from that point. Saba Kahn experiences some big changes in her life, some better than others. The Kahn family comes home one day from a nice day at a local park only to find that their apartment building was burned into a huge pile of soot. Most people believe it was a hate crime. Saba suddenly becomes one of the most popular sophomores in school. She is dating the hottest senior ever, her teachers finally notice her, and her tennis team is more triumphant than they have ever been. During this time, she has to battle her protecting father. Her closest friend, Kendra Spoon, and her brother discover a Henry Darger piece of artwork in a dirty alley while wandering the streets of Chicago. This painting is worth an immeasurable amount of money. Unfortunately, about 4 days before setting up the decorations for the event, the priceless painting is stolen and the detectives find no trace of anything or anyone. In this story, everyone's guilty until proven innocent, but who is guilty and who is innocent? James Klise's writing style was expressive and intriguing, making me feel like my hands were glued to the suspense in the storyline. In the beginning of the book, I thought it was very suspenseful and exhilarating yet grounded. I think this book would be meant for an older age group (preferably the high school crowd) because of some of the mature content that might be inappropriate for younger kids. Most of the mature content involved cursing and profanity. I believe the author was mainly trying to express the characters' feelings, but it did make me feel slightly uncomfortable. As I headed towards the middle of the story, it was fast-paced and riveting. The author managed to fit in the development of each of the characters indirectly. I think that the way Klise formatted the book, where each chapter is one person's perspective of the crime, prevented me from losing interest. 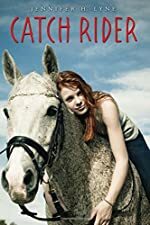 I thought that learning about each character's perspective would help me to connect the clues at the end of the novel. I also thought that I would find out who was proven guilty. When I reached the last 40 pages, I couldn't put it down. I kept reading, though I found myself very disappointed that all of the hints and clues that were given did not connect at all. Some people might enjoy cliffhangers, but I like a solid ending where everything is resolved. I learned to not trust everyone you know and regrettably, no one gets everything they want, nor will you always you figure everything out the first time. To conclude, at the beginning of the book, I was clueless; unfortunately, at the end, I was still clueless! Golden Girl by Sarah Zettel. Book 2 in The American Fairy Trilogy. Review: Callie has a secret and only Jack knows about it. In the beginning Golden Girl by Sara Zettle, Callie and Jack are caught in a fight with a small amount of people who want to capture Callie. They have to learn to survive in the golden age of Hollywood. Callie soon discovers where her missing parents are and lands a job with Ivy Bright a kid's actor. Callie, Jack, and Ivy go off on some adventures and a battle happens between Callie and Ivy. Will Callie find her missing parents? Who will win the war? Golden Girl is fascinating because there are so many surprises. It is a good book for girls ages 10-13. It has some higher-level words so that is why it would appeal more to older girls. Golden Girl would probably not be as enjoyed by boys because the main character is a girl, and the story is about what girls like. It is a little confusing in the beginning, but all is explained throughout the story. Golden Girl even has some action in the end. The plotline is good and can be a little confusing, but once you get past those parts, it is a great book. 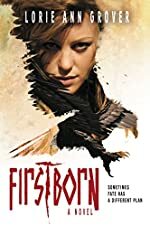 This is a fantasy book so if you are a girl and like fantasy this is a great choice for you. Overall, Golden Girl is a great addition to the Fairies Trilogy. We would like to thank Random House for providing a copy of Golden Girl for this review. 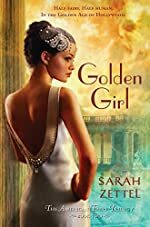 Have you read Golden Girl? How would you rate it? Foul Trouble by John Feinstein. Review: Have you ever been put in a place when you had to make a decision that would affect your whole future and career? 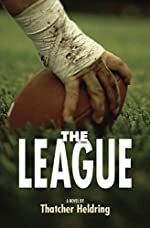 Well, two eminent high school basketball players named Terrell Jamerson and Danny Wilcox find themselves in such a situation. In Foul Trouble by John Feinstein, two extremely talented high school basketball players face the quandary of picking which NCAA college to go to. The overflow of coaches from varying colleges after a very tiring basketball game doesn't sound terribly enjoyable for Terrell and Danny. The two best friends go through tough challenges but they go together in unity and conquer those obstacles. Terrell Jamerson is the total star of the team. His extraordinary dribbling, his almost unerring shots, and his personality are what everyone likes about him, especially the coaches. Danny Wilcox is the team's point guard. He is the one who gets the ball to the net. Basically, he runs the offensive line. Terrell is the one everyone is talking about and Danny just keeps getting asked questions about Terrell in their interviews. Through challenges with jealousy, distrustful friends, and the stress of making a life-changing decision, the two very close companions plow through all the challenges no matter what lies ahead. Foul Trouble is fantastic for people who love basketball! My favorites parts of the story are when they are playing the their intense games. Feinstein's writing makes you imagine that you are watching the games on the bench. John Feinstein does a terrific job illustrating the exciting games through descriptive words that hook you into the story. I enjoyed it so much that I would definitely read a sequel of what happens to them in college. Another trait I like about John Feinstein is his ability to take a "basketball" book and make it so much more. I really enjoy when a story is not just about one thing, and Feinstein does an excellent job incorporating side stories that do not take away from the primary plot. In my opinion, I get entertained when there is a side plot. Or in this case, the life outside of basketball. This is an outstanding book for middle school and high school readers! Foul Trouble would be fantastic for boys and girls who love basketball. I suggest all basketball lovers to read this astonishing, well-written novel written by John Feinstein. Review written by Kenneth (6th grade student). We would like to thank Random House for providing a copy of Foul Trouble for this review. 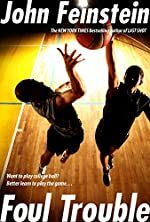 Have you read Foul Trouble? How would you rate it? The Hidden Kingdom by Tui T. Sutherland. A Wings of Fire Novel. Review: Do you love danger, suspense, and mystery? Well then The Hidden Kingdom by Tui T. Sutherland is your book. 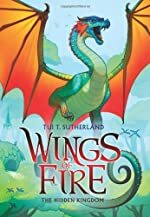 It is the third book in the Wings of Fire series so you should probably read the first two first, just to get to know Sunny, Clay, Starflight, Tsunami, and Glory. The Hidden Kingdom is a great book with action and suspense, and almost every other feeling you could imagine. The plot of this story has all kinds of twist and turns. Readers are taken through rainforests, villages in the trees, the Kingdom of Sand, Icewing, and the Kingdom of Night. 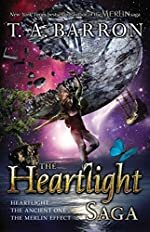 Throughout these enticing settings, the Dragonets of Destiny make their way to the rainforest where a major secret comes into play setting the stage for the rest of the tale. The Hidden Kingdom follows the adventures in the first two books of the series, so it is important to read them both first. This book is fantastic. To start off, it has a lot of action-packed moments that don't always end the way you'd expect. It has a lot of mystery too. Moments were major events happen from the smallest events. The Hidden Kingdom also has suspense. One moment you think the main characters are perfectly safe, and the next they are gone. There are moments when someone is hurt and they might die and for some readers, that can be very scary. In fact, it does have one very graphic and violent scene. Readers have to be mature enough to handle this. Plus the plot can seem scattered making it hard to follow at times. One event leads to another and then another and another. It can be very confusing. Speaking of confusing, I found that this book is hard to read without rereading. It will most definitely confuse some readers. Overall, however, this story is very good, and I'll be anxiously awaiting the next book. We would like to thank Scholastic for providing a copy of The Hidden Kingdom for this review. Have you read The Hidden Kingdom? How would you rate it?